You may not realize it, but for better or worse you are always representing your company or employer, even when you are not on the job. Excuse me if I wander into the wide, wide world of sports for a minute, but we’ve reached my favorite time of year as a fan. Yes, ’tis the season for March Madness, as the NCAA men’s basketball tournament is known. Last year the North Carolina Tar Heels won the tournament, which was sweet redemption after they lost a nail-biter of a final against the Villanova Wildcats the previous year. However, Villanova’s epic victory isn’t my lasting memory from the 2016 tournament. 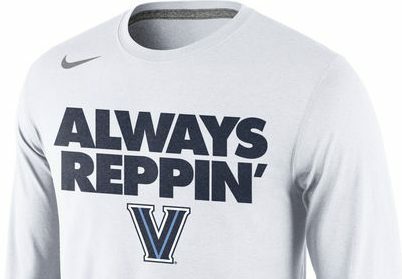 Reppin’ is short for “representing,” and the message was that the player who wore that shirt was always representing his school, both on and off the court. The message of always reppin’ is one that applies to the workplace, too. You may not realize it, but you are always representing your company or employer, even when you are not on the clock — or not in the game, so to speak. For better or worse, people draw a connection between you and your employer or business, and that connection does not cease to exist just because you are not at your place of work or not engaged in your job duties. The connection grows stronger the higher up the organizational ladder you are, so that the praise you gain or embarrassment you suffer in your personal life brings equal — if not greater — glory or shame to your employer or business. Notice I used the term “personal life” rather than “private life” in the previous sentence. That’s because there is little “private” about our personal lives anymore. You don’t need to be a Harvey Weinstein or a Matt Lauer to gain notoriety for you and your employer. You can bet if you are even of modest standing in your community that any unflattering incident in which you are involved will be captured on someone’s smartphone and uploaded to YouTube or bandied about on Facebook. And Lord have mercy on the person whose imprudent words or deeds become the subject of social media banter and the brutal remarks found in “comment” sections. While fame may be fleeting, the damage that even one embarrassing incident can inflict upon the reputation of an individual and an organization can linger for weeks, months and even years. Indeed, here in the Internet era, the stigma of headlines such as “Smallville School Teacher Faces Shoplifting Charge” and “XYZ Corp. Executive Arrested for DUI” are memorialized for eternity. Please know that I am not casting stones here. I have done things in my personal life of which I am not proud — not by a long shot. Oh how I wish I had stopped and thought about how my choices and actions would impact others and would reflect on me personally and professionally. And that is my purpose here — to urge you to pause and think. Think about how what you say and do would reflect on you and your organization if they found their way into the glare of the public spotlight. Think, too, in cases where your temperament is put to the test about these words from the Book of James: “Everyone should be quick to listen, slow to speak and slow to become angry, for human anger does not produce the righteousness that God desires.” (James 1:19-20) Then exhibit enough self-control and wisdom to avoid the missteps. Remember, regardless of what link you are along your employer’s chain of command, you are always an ambassador for your organization — and, for those who profess to be Christians, an ambassador for Jesus Christ, too. (2 Corinthians 5:20) You are always reppin’. Carry yourself in a manner that would bring glory to your employer if you were wearing an Always Reppin’ shirt with the organization’s name on it. If you do, you will make a terrific ambassador and a great name for yourself, too. Do you have thoughts about this column or a subject you’d like Mark to tackle in a future post? Leave a comment or e-mail him at mark.dodosh@gmail. This is so true and a great reminder to us all. Thanks Mark!